Around this time period I was also lucky enough to get into another amazing adventure exploration game – I’m guessing this must be a popular genre for kids! I was and still am a huge Harry Potter fan, and looking back the first three games were simply outstanding. 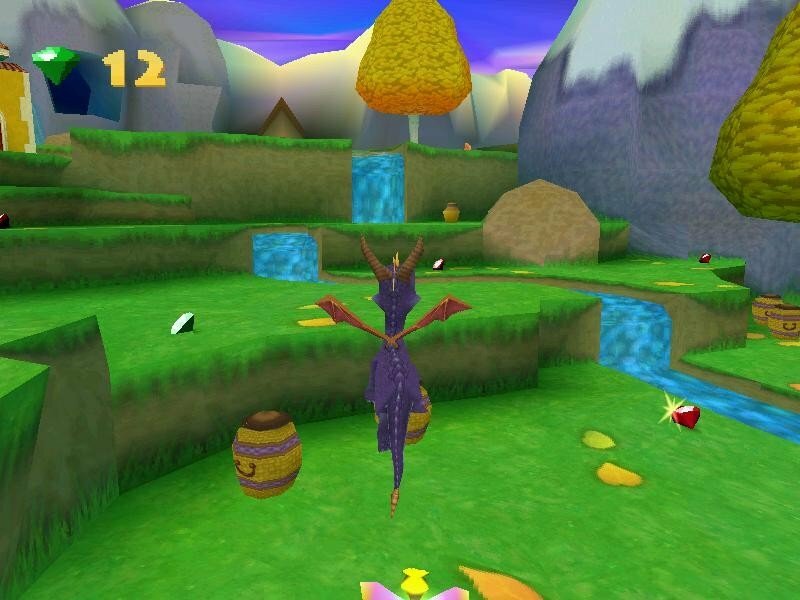 A similarity shared with Spyro is there was sadly a big change of style after the first three which led much disappointment and never did reach the great heights set by them. The change from a game that allows you to free roam to those that followed the Prisoner of Azkaban, that are basically first person shooters, made me feel like so much potential had been lost. Using the mouse to aim your wand at every object in sight in hopes of seeing a spell symbol appear was great. Jumping around the castle and exploring the grounds which you had become familiar with from the books and films was a delight. This was another game where there was an incentive to collect, well, collectibles, which were scattered around and gave you a reason after you’d completed the story to return to Hogwarts to find them all. I’ve found myself revisiting these games because to this day, despite it now being outdated graphically, it still gives the sense of discovery while progressing through levels to find secrets the game has hidden away. This was much more open-world and less platformy than Spyro, and became the first of many in this genre which I’ve become obsessed with. Harry Potter: So much exploration was a joy! Taking a break from these action style adventure games was Age of Empires. It belonged to my dad who encouraged me to give it a try, and I’m glad he did. Whilst RTS (real-time strategy) games aren’t at the top of my list, that isn’t to say I don’t find them enjoyable. They offer an alternative. I really enjoyed Age of Empires, the progression from Stone Age to Iron Age in a real-time race against time to stay the step ahead, before grouping all your units and pointing them in the direction of the enemy was thrilling. 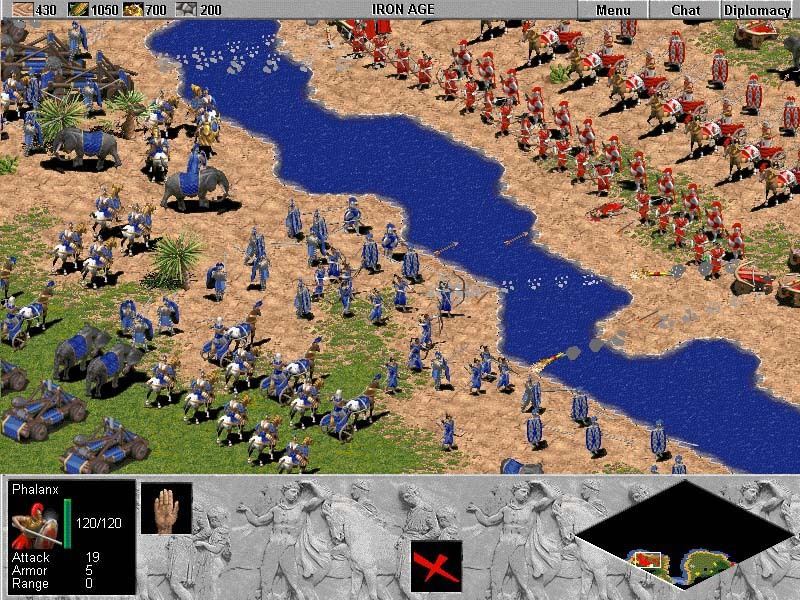 Despite this, I’ve found my interest in strategy has changed to preferring a turn based style, with games such as Civilization and Total War being my favourites. However having just recently bought Age of Empires 3 on Steam, its there if I want that something different. Age of Empires: Always keep an army at the ready! The first MMO I played was ToonTown Online and I think I was around 10 years old when I came across this. ToonTown gave me my first taste of being in an online world with other people. Its a cartoony styled game (very odd in the Disney universe I know!) and involved destroying evil robots which threatened the happiness of the world through the use of “gags”. Gags were items which were unlocked through completing missions and upgraded from getting experience points through using them. They added a sort of strategy element where you had to plan certain moves such as laying down traps before using lure gags. It was quite a simple game with lots of mini games, and a currency of jelly beans – which were also used as bait for fishing! Nevertheless, it still had an adult community in addition to all the kids like myself who played it. I left my dad all the grindy missions to complete – which would often reward you by giving your toon silly cosmetic changes temporarily for a day – I’m sure he loved doing those for me! It has only recently stopped running after ten years which isn’t a bad life for an MMO, and gave me a great introduction to the genre which I frequently search for since. These games early on in my life have been influential in my interests for gaming. They gave me a platform for their genres. Now that I’m older I can appreciate how these four games – the first I played in their respective genres – gave me such a lasting impression and an appetite for more. This entry was posted in Gaming, Nostalgia and tagged Age of Empires, Gaming, Harry Potter, Memories, MMO, Nostalgia, Open World, PC, Playstation, Review, Spyro, ToonTown, Video Games. Bookmark the permalink. Starting off young sets you for life! I remember gaming at a young age. My first fps was Doom and I would replay it over and over again. I think growing up with games made me love them till today. Yes exactly! You just grow such an attachment to them which you can’t let go.